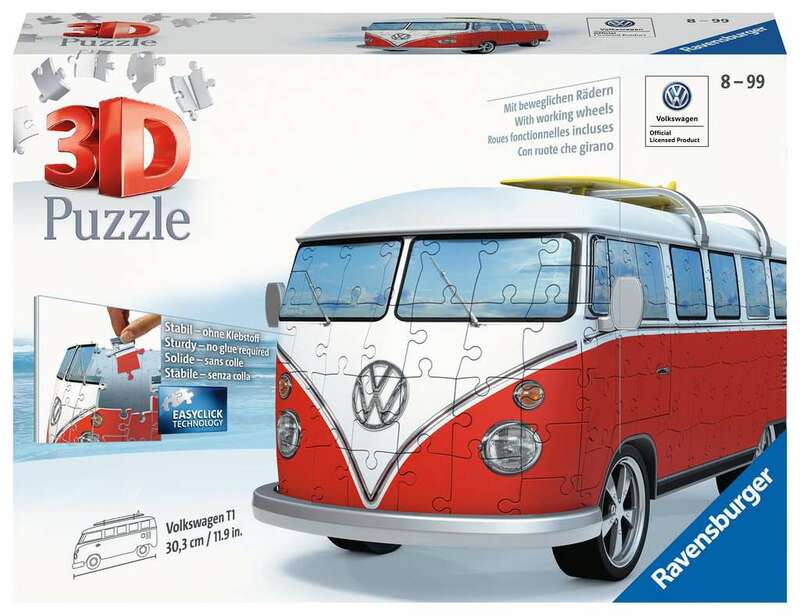 Cruise in to 3-Dimensional Puzzling with Ravensburger! 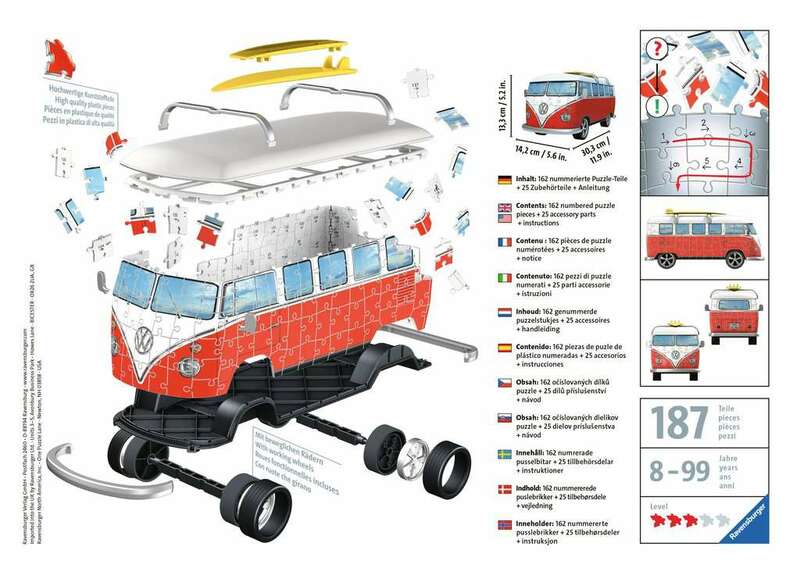 Follow the numbered pieces or challenge yourself and follow the image to put together a VW Campervan. This classic puzzle inspires nostalgia and new adventures! 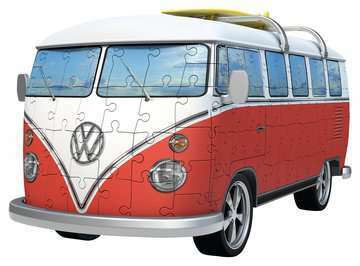 Ravensburger’s 3D puzzle pieces are sturdy and interlock perfectly to create unique 3-dimensional shapes that stay together with no glue required, the wheels spin at ease allowing this puzzle to become a model of this VW Classic vehicle.